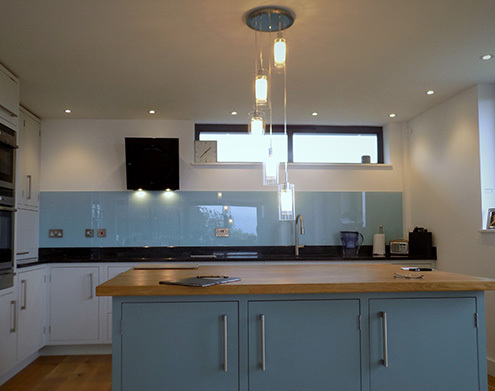 Glass splashbacks have fast become the new innovative item to showcase any part of your house. 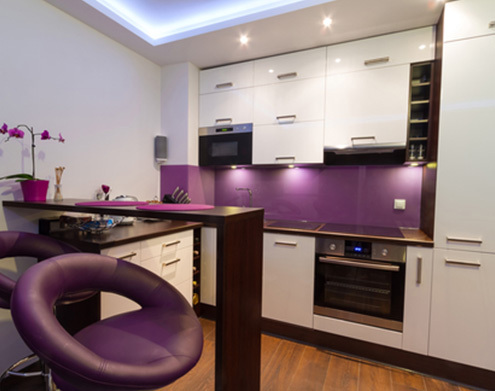 Adding light and another dimension, splashbacks uplift any room and in many cases make it appear larger. 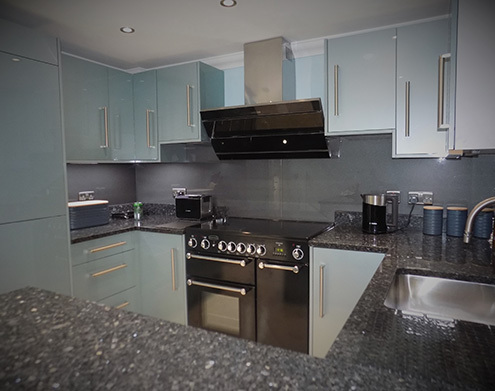 All of our splashbacks and up-stands are made to order and with an enormous range of colours from the RAL or BS colour range there are options for everyone. 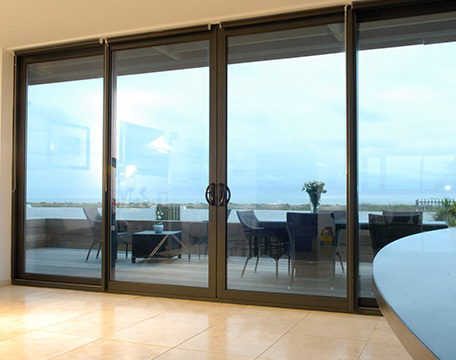 We use a 6mm low iron glass which has a much whiter finisher than a standard glass that has a green tint to it. All of our splashbacks are toughened to BSEN12150 to comply with British and European toughened and safety before being painted. We are able to cut to template and by using our CNC machine accurately cut single or double socket cut outs, notches, radius corners and much more to produce the splashback you require. 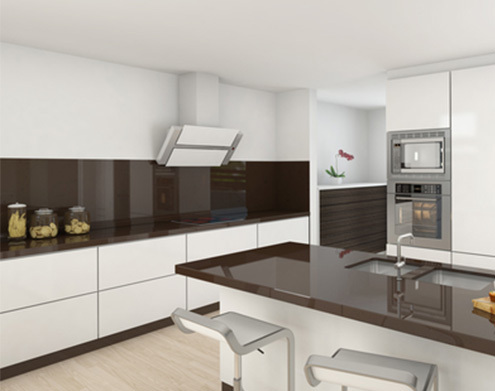 Splashbacks are easy to fit and even easier to keep clean making them an ideal addition to your kitchen or bathroom. 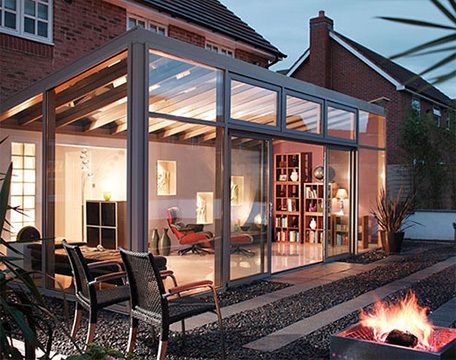 However, if you would rather not have the stress of handling the glass we are happy to provide a supply and fit service to give you an easy and stress free experience. Please contact the showroom to find out more. To view the full range of RAL colours click here.